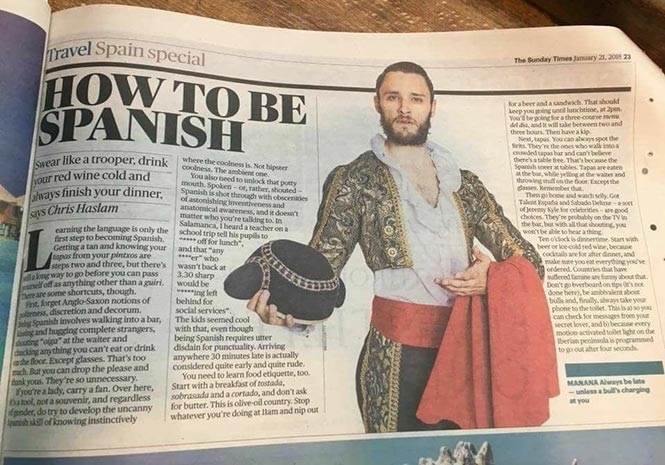 SPANIARDS have voiced their outrage with a recent article published in the UK about how to become Spanish. The piece then says to “forget all notions of Anglo-Saxon notions of politeness, discretion and decorum” when going to a bar, encouraging readers to throw everything – except glasses – on the floor and shout at waiting staff. The article has since been mentioned throughout Spanish media, as well as hundreds of angry comments on social media mentioning British tourists drunken behaviour being what is described, not ‘Spanish’ behaviour. 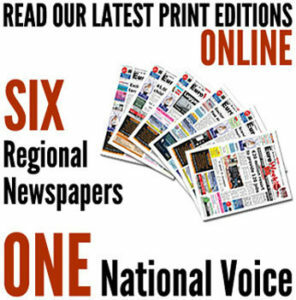 The article can be seen in full bellow. @dromomaniac @thesundaytimes Have you ever been in Spain? Honestly… I don’t think so!! Really??? What a shame!!! I’m shouting indeed. And it isn’t because I’m Spanish but because I’m outraged. So many unreal “topics” to make British people laugh? Oook. You don’t know another way to get fun. You should apologize. It’s a joke? Does the country that invented and exported the hooligans to the world want to give education lessons to others? ?? IÃ¢ÂÂve lived in 5 countries extensively throughout my life (residing in Spain now; others have been US, Canada, Latvia, Britain) and I have never seen a greater sh*thole in terms of living standards and people than Britain. This joke of a country (Britain, it is) pales in comparison to Spain. Most things mentioned in this crappy article are absolutely false about Spaniards and their culture. I personally take a big satisfactory dump on everything that is British! Period! really? so why some many British are living in Spain? Why the are some many always drunk, shower seems not mandatory for tourists from UK visiting Spain? Not all British are as seen in those BBC magnificent period shows….They have their own hooligans, rednecks and dirty & poor places, not so perfect picture . British do it better? Really? Don’t criticize Spainiards way of life (praised and admired for most of tbe people who really experience the life there). You may want to focus on improving your british current lifestile.. doing so you’ll be busy enough to have time to point other’s countries way of life. Be humble, specially when you haven’t reasons to be proud. Just patetic arrogance. HOW TO BE A BRITISH. MIX A cELT WITH THE INVADERS aNGLO sAXoNS AND nORTHMANS AND DANISH and you will get an upper aristocratic society of descendants of anglo- saxons who control most of the big companies in the Uk and a working class of descendants of Celts who live most of them in hellish industrial towns. and allow them to invade the best places around the world and to steal them to their original owners. Brave words coming from people, thankfully not all of them, who go to spain and show their most shamefull side. Just search “british tourists lloret” and look at what people think of the british people on spain. We are “kinda” annoyed that they seem to come only to get drunk and cause problems. The number of drink and party tourism by briths on spain is alarmingly high, better start looking at themselves before writhin such BS. This is very offensive, I am a Spaniard and I usually take things as humour. Yes, Spaniards speak loudly, we love food, we tend to have a laid back lifestyle enjoying the day, we have more creative and frequent swearing, we are far more opened to strangers… but we are not impolite dirty lazy people that live in hunger, like you want to portray. We kiss and hug for greetings, Brits just stand there afraid of contact with other humans, we eat for hours and speak loudly, but Brits drink for hours and vomit in the street… Ã¢ÂÂcountries that suffered famineÃ¢ÂÂ delusional arrogant ignorant, you think Britain never suffered famine in all your history? we live 15 years more on average than you, yes the famined ones have a far higher life expectancy. It wasnÃ¢ÂÂt humour, I recognise our bad Ã¢ÂÂhabitsÃ¢ÂÂ but you deformed reality and enjoyed ridiculing Spanish culture and Spaniards.